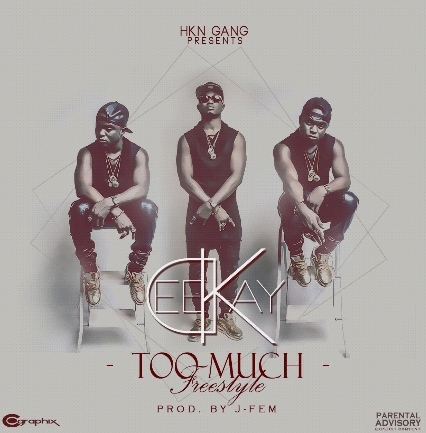 HKN Music presents Deekay with a new freestyle titled “Too Much” produced by J-Fem. Deekay made a major industry statement last year when he released his debut single – REPETE, produced by Shizzi. As fans are gearing up for his second official single under the HKN music imprint; Deekay releases this impressive freestyle, produced by J Fem. Its a double barrel shot cause ‘Too Much’ comes crisp video; Directed by fast rising director & filmmaker ‘Damiereel’, the two-minute song is graced with an exceptionally well tailored, black and white visual Shot on location in Lekki Phase 1, Lagos. ‘Too Much’ features cameo appearances from some HKN members including Davido, Sinarambo, B-red and Danagog. The attention to detail was depicted through the classic Black-and-White theme chosen, everything from the production, the conception to the final product illustrates an impeccable thought process for an overall classic viral video.